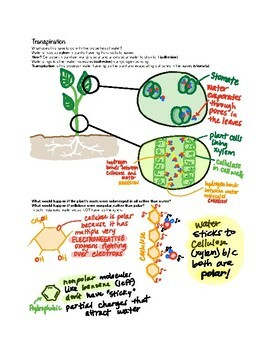 Includes: description of water molecules, polarity, transpiration, cellulose, surface tension, cohesion, adhesion, etc. 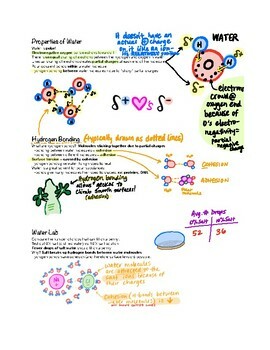 MAKES BIOCHEM FUN and EASY TO UNDERSTAND! Great combo of type and hand-drawn pictures. Why do I draw? Because I wasn't satisfied with images from Google! My drawings are colorful, easy to decipher, and truly help kids learn the material.